at a Price Point Every Customer Can Afford. Why Bifold Doors? Why Reynaers CF68? People are continuously looking for ways to maximize their space, visually as well as physically. Reynaers’ CF68 Concept Folding Door offers your customers the opportunity to optimize the utilization of their rooms, drawing the external environment into their homes. The CF68 range from Reynaers has been designed to provide premium quality together with mass-market appeal – supporting the needs of 99% of your customers and being priced for you to win the business every time. 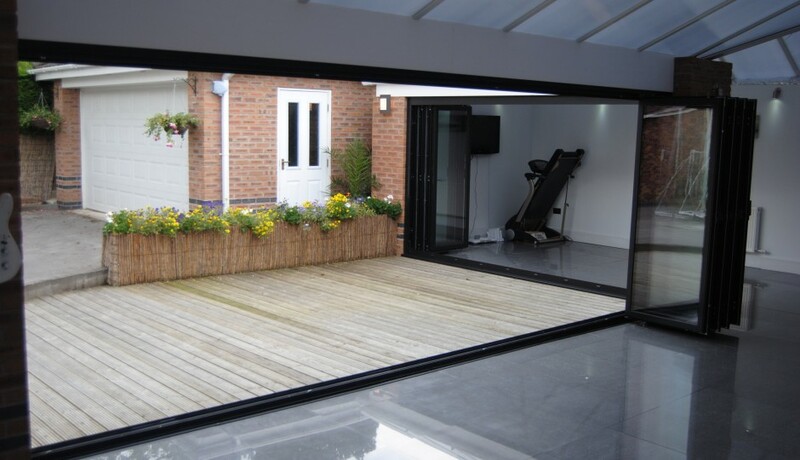 With a maximum height of 2,500mm it comfortably supports the UK’s most popular configuration of 2,100mm, and a choice of 3 available thresholds means it is suitable for any property in any environment. Premium quality aluminium, super-slim 131mm sightlines and a selection of over 400 internal and external colours only adds to the contemporary look and desirability of these doors. Whether you are an architect, glazing specialist or general builder, CF68 gives you the best opportunity yet to attract new clients and let your existing customers join the Bifold doors craze – the UK’s fastest growing home improvement segment. 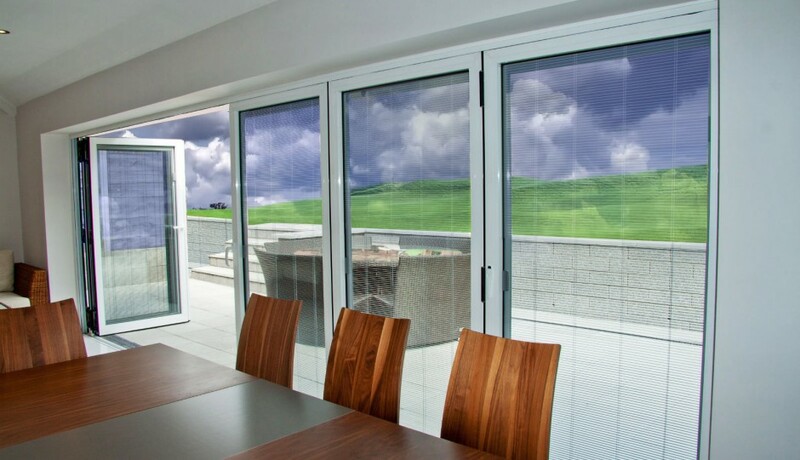 Aluminium offers the perfect material for Bifold doors due to its inert strength to size properties. Much slimmer sightlines are achieved in comparison to PVCu or Timber Bifold Doors. So as Aluminium has all the attributes to produce much larger better performing Bifold Doors why such a difference from one system to another? Well, it does not just happen by accident that one Aluminium Bifold Door can achieve much better results than another. It is all about the design and specification. You do not need to be an engineer to understand what quality looks and feels like. By simply holding our Bifold Door hardware and comparing with some of the other systems’ hardware it is not difficult to see why the CF68 achieves such results. When you consider the role hardware like hinges and rollers play in the operation of a Bifold Door it really should be a priority to investigate closely what is holding up to 100kgs of glass per panel over the lifetime of the door.